Carbon steel bar at Alro is stocked in flat, hex, round and square. 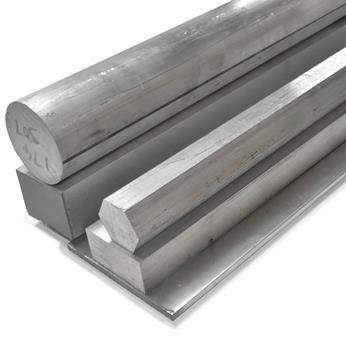 Steel is commonly considered carbon steel when no minimum content is specified for any alloying element (for example, aluminum, chromium, nickel, molybdenum, vanadium, etc.) or any other element added to obtain a desired alloy effect. The manganese does not exceed 1.65%, the specified minimum for copper in not below .40% or exceed .60% and silicon does not exceed .60%. 10XX = non-resulpherized carbon steel, with manganese 1.00% maximum (for example 1018, 1044, 1045 and 1050). 11XX = resulpherized carbon steel (for example 1117, 1141, 11L17, and 1144).